In a tiny Californian town one morning a mysterious new bookstore opens in a long run-down farmhouse. The Hermit Bookstore and its old, curious owner pops up seemingly out of nowhere. Jolene, the owner, has an almost magical, uncanny knack for recommending the perfect book for the right person. 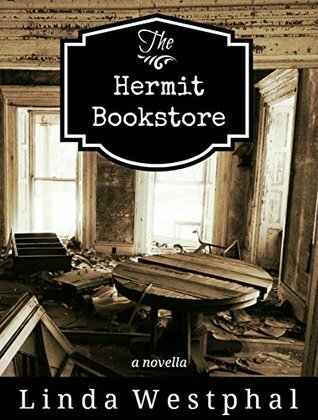 This is a mysterious, intriguing story of how Jolene and The Hermit Bookstore change the lives of a few of the locals. At first I didn’t really understand why this book was described as a mystery. Each chapter cycles through three different characters’ points of view and shows us how they came to stumble upon the bookstore, interact with Jolene and what difficulties they currently face in their individual lives. Mary June has unresolved family issues in her past – a weight she’s been carrying around for more than nine years. Mario has spent his life focusing on work, to the detriment of his personal relationship and especially his non-existent romantic life. And Elisa is in a dead-end relationship with a man totally unsuitable for her. While at a first glance none of these circumstances seem mysterious, the manner in which the bookshop and Jolene come to effect their lives – the serendipity of it – does lend an air of intrigue and mystery. There is an interesting twist right at the very end, which not only wraps everything up wonderfully – but definitely helps lend the overall air of mystery around the story. This is not a regular “who-done-it” but more of a “life changes in mysterious ways” kind of story. I feel it has a heavy dose of the epic style of story – lives intersecting, chance meetings, Fate and destiny – but in an old style, sweeping story kind of way. While relationships and challenges of life are certainly involved, romance – in the traditional sense – is not. This story shows us the lives of the three main characters, it doesn’t focus on romantic entanglements. There are any number of strange happenings that are left for the reader to wonder at – foremost how Jolene “knows” exactly which book to pair with which person, and how they lead the main characters exactly where they need to go. Realism isn’t particularly strong here, but that adds to the mysterious, older style of story that I found this to be. I don’t need hard, harsh reality in my stories, not when the plot and characters are good – which I thought they both were here. I was quite grateful the author stopped at three main characters. While the book itself isn’t long – having a chapter per point of view meant that once we’d been introduced to Elisa, Mary June and Mario I’m not sure I could have mentally kept hold of yet another character and story. While each of the three do live in the small town, they don’t really otherwise intersect and so keeping everything straight in my mind would have become difficult had we added another character into the mix. I feel the author did an excellent job of balancing it so that the story was complicated, but not so difficult I felt overwhelmed or unable to follow along. I can easily see myself recommending this story of story to my mother – or grandmother. This is a happy, positive story about how our actions can change or influence other people’s lives. I feel certain nearly everyone would love to have a Hermit Bookstore nearby – I know I sure would! – to help lead us down the paths we need to head down. Leave realism and the real world behind, just relax and enjoy the story and ignore the many startling coincidences. This is a happy book that I think is meant to simply be read and enjoyed. The larger story – that we can draw solace and comfort from books and see our own lives and paths mirrored therein – is a brilliant tone to take.